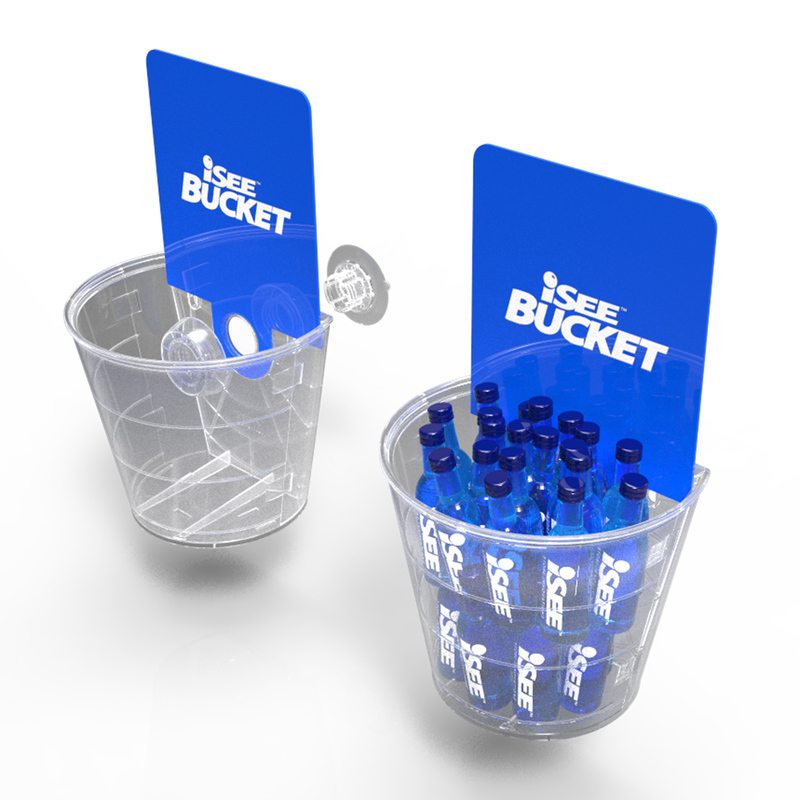 The NEW iSEE Bucket Live point of purchase suction cup display shows real product in a dimensional bucket with a refreshing look. 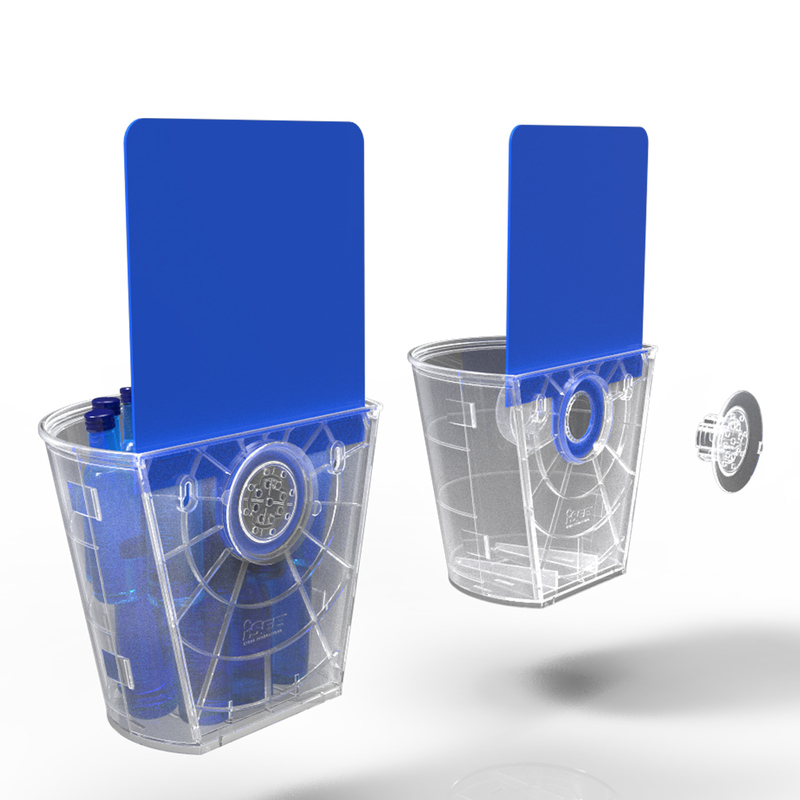 The iSEE Bucket leverages the strength of iSEE Displayloc cup to securely stick to mirrors and cooler doors, or can hang on non-glass surfaces with attachments included. 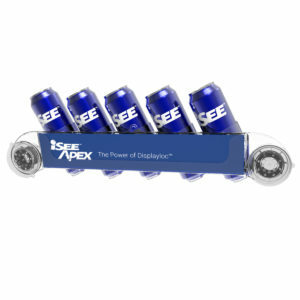 Display your most important asset – your brand label – to promote multi-serve drinking occasions. 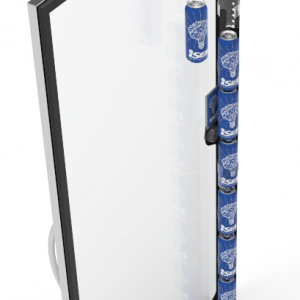 Various beverages, candy and snack packages–perfect for 50ml bottles! Standard product color is CLEAR. Call (888) 417-2457 for custom color options.